These easy-to-chew bars replenish your carbohydrate and electrolyte levels, so you can keep pushing at your optimal pace. Each pack contains six individual blocks so intake can easily be managed. 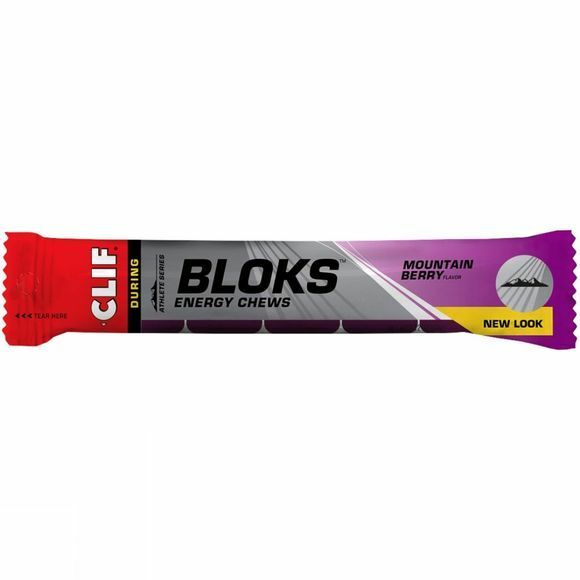 Packaging is designed so each block can be pushed out quickly and easily, making these ideal for cyclists, hikers, runners, climbers or any athlete needing a quick burst of energy. Half a pack of Shot Bloks can be consumed 15 minutes prior to activity, then 1-2 packets per hour during activity. Consumption of Shot Bloks should always precede a mouthful of water. Tapioca syrup, dried cane syrup, maltodextrin, gelling agent: pectin, acid regulator, citric acid, natural flavour (1%), carrot juice, blueberry juice, potassium citrate, sea salt, sunflower oil, glazing agent: carnauba wax.